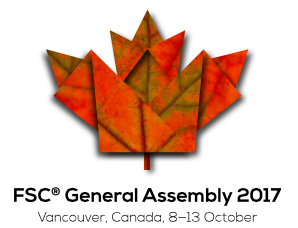 As we mentioned in our last post (just this morning), MixedWood is attending and participating in the Forest Stewardship Council (FSC) 2017 General Assembly, underway this week in the beautiful city of Vancouver, British Columbia. Today was the opening session of the 6-day meeting, and we were impressed to see a crowd already gathered when registration opened this morning. Over 750 people are registered and more expected to join us later in the week. The participants are a remarkably diverse and engaged group of people. We are expecting an interesting and active week. Regular readers of this blog may have wondered where we have been for the last several months. The answer, of course, is complicated. But one good excuse has been a very busy season for FSC Controlled Wood consulting. If you are among the folks still struggling with this process, please click here to see our last post on the subject. The Forest Stewardship Council (FSC) published a long-awaited update to the important Chain of Custody standard earlier this winter. If you are a regular reader of this blog, and you have not yet looked at version 3-0 of the FSC Chain of Custody standard, we recommend that you do. Follow this link to the publication announcement that was posted on 1 February. You can download the final document here, as well as an interesting “crosswalk” document which compares versions 2-1 and 3-0. The long, long process of updating the Forest Stewardship Council’s (FSC’s) important Chain of Custody (CoC) standard may finally be nearing an end. We learned, along with others at the regional meeting last week in New York City, that the Board of Directors has approved a final version of FSC-STD-40-004 v.3-0. Earlier this week, the staff posted a short Decision Record giving hints about what is coming. Next week, the Forest Stewardship Council (FSC) will be hosting a “Regional Membership Meeting” at the Stern School of Business in downtown Manhattan. This meeting is the last of a series of regional meetings held over the last few months at selected locations around the world; including Bali, Bonn, Johannesburg, Moscow, Lima, and now New York City. This update has been in the works for nearly 5 years and the subject of seemingly endless discussion, debate, analysis, and hand-wringing. Two discussion drafts were released – the first in the fall of 2013 and the second in late 2014. This final, approved document – sadly – bears little resemblance to either of them. 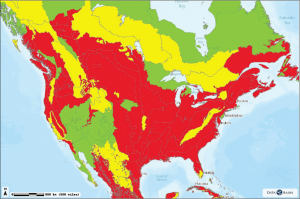 More importantly, because the FSC system relies on a complex series of interconnected documents and guidelines, this new, approved standard represents only a piece of an ongoing revision process for the Controlled Wood System that promises to continue for some time to come (click here to see lots and lots of detail). We were confident that, by the end of 2016 the challenges of this important update would be well understood, and that implementation of the new standard would be well underway. As with so many predictions concerning the FSC, we were wrong. By far the most consistent theme explored in this space has been the persistent and frustrating insistence on the part of the Forest Stewardship Council (FSC) to complicate and confuse the subject of supply chain traceability. Our principal tool for supply chain traceability is, of course, Chain of Custody (CoC) certification. And at its root, CoC is simple, or at least it ought to be. The MixedWood blog has been idle for several months. This note is a simple apology to our readers. And a promise to provide some important, new content very soon. Thank you for your patience. And stay tuned. The comment period for the latest round of public discussions by the Forest Stewardship Council (FSC) on their proposed update to the new Chain of Custody (CoC) stand ends soon. The 3rd draft was published on 15 June, and the official public consultation period ends on 31 August 2016. We strongly recommend that everyone take part in this consultation. The details of the FSC Chain of Custody standard are important to over 30,000 participating companies around the world. Typically, only a few hundred firms will provide direct feedback in consultations like this. If your company has an interest in this process (if you read this blog, you probably do), then you should take the time to tell FSC what you think.